I have been learning some very interesting things about Sacred Geometry lately. Sacred Geometry is a mystical mathematical science which studies Geometry through meditation and contemplation of mandalas. Geometric shapes are considered to be archetypes in the mind of God. When we contemplate these shapes we bring our mind closer to God. 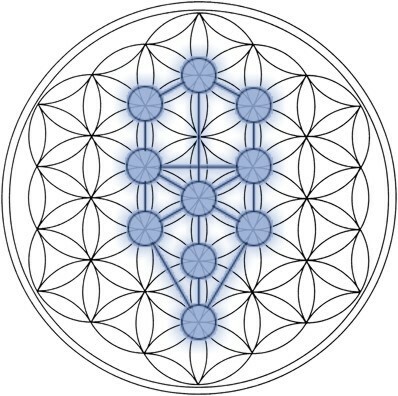 It seems that one of the most important introductory concepts in Sacred Geometry is the progression from the Vesica Piscis to Metatron's Cube. I thought it would be a good idea to follow this idea through for my first post. We begin with the Vesica Piscis. 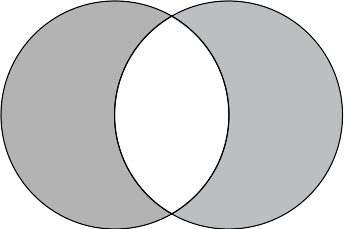 The Vesica Piscis is obtained from the intersection of two circles of the same radius, such that the center of one circle is on the circumference of the other. The Vesica Piscis is the basis for the construction of just about every well-known Sacred Geometry archetype. Try to find how many Vesica Piscis shapes appear in the following diagrams. Meditation on Metatron's Cube will help unlock your clairvoyant capacities. It shows how 3-dimensional forms emerge out of 2-dimensional forms. This prepares our consciousness for experiencing fourth-dimensional awareness. Metatron's Cube is a container for the five Platonic solids. Each of the Platonic solids has a correspondence with the Elements (Tattwas). Invoke the archangel Metatron. 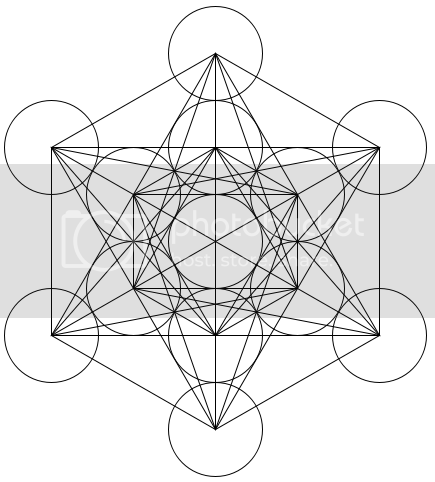 Stare at the first picture of Metatron's Cube for 5 minutes (more if you want to). Close your eyes and imagine yourself to be the flat image of one of the Platonic solids embedded in the image, as shown above. Feel the shape as encompassing your entire being. Then imagine yourself expanding outward into the three dimensional solid, i.e. imagine that you are a Cube, etc. Feel the elemental quality associated with the solid. Only do this for one of the solids at a time. Close the meditation by imagining your Higher Self as a four-dimensional being emerging from your three-dimensional physical body. These are just some of the most introductory things that can be done in Sacred Geometry. I am currently investigating some other areas of Sacred Geometry, especially how it relates to meditation and magic.